The UNCW Sustainability Council shall advocate and facilitate collegial efforts to advance environmental integrity, economic vitality and social equity. 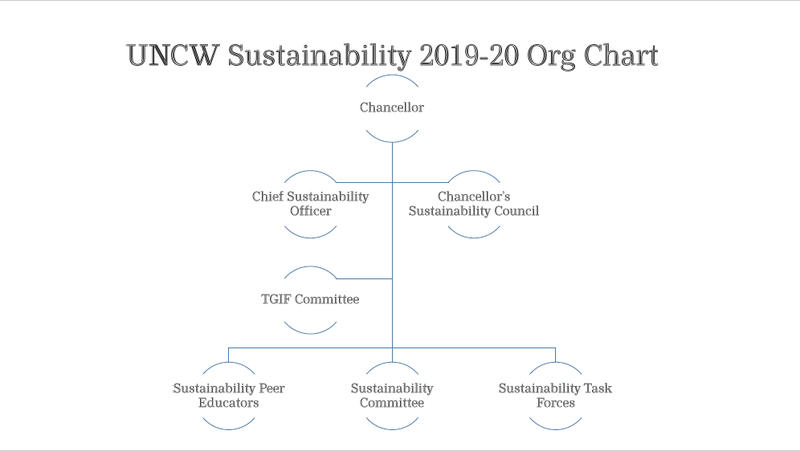 The council shall serve as a connection for students, faculty and staff to collaborate in order to engage in the development of values, advertisement of educational material, adoption of policies, and implementation of practices that strengthen the campus-wide commitment to sustainability. To prioritize and facilitate the implementation of recommendations that are identified to further the mission of sustainable practices in all aspects of UNCW's institutional culture, including operations, activities, academic programs and community relationships. The committee will provide an annual report to the chancellor that summarizes progress and future priorities.